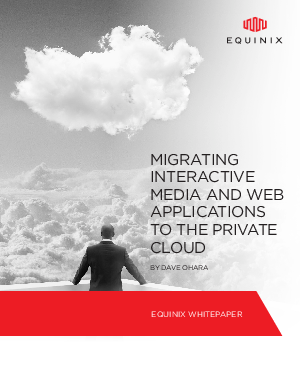 Cloud-based applications that rely on interactivity, social networking and personalization require a low-latency environment to satisfy users. An all-public cloud infrastructure brings with it issues, including outages and inflexibility. This white paper from GigaOM Pro explains the factors to consider when developing a public-to-private cloud migration or hybrid strategy, some pitfalls to avoid and a case study. Get your complimentary 40-page report now.